Well-qualified lessees lease a new 2019 QX80 LUXE RWD in retailer stock for $829/Month for 39 months. $6,799 initial payment excludes taxes, title, and license. $6,799 due at lease signing (includes down payment). Offer valid only when financed through INFINITI Financial Services. Subject to residency restrictions. $66,795 MSRP includes destination and handling charge. Net capitalized cost of $59,843 includes a $700 non-refundable acquisition fee. Retailer contribution may affect actual price set by retailer. Monthly payments total $32,331 at lease end, purchase for $36,737, plus purchase option fee up to $300 (except KS & WI), plus tax, or pay excess wear & use plus $0.25 per mile for mileage over 10,000 miles per year. Disposition fee due at lease end. No security deposit required. Must take delivery from new retailer stock. Ends 04/30/2019. Example VIN JN8AZ2NF1K9684871. Well-qualified lessees lease a new 2019 QX60 PURE in retailer stock for $399/Month for 39 months. $3,599 initial payment excludes taxes, title, and license. $3,599 due at lease signing (includes down payment). Offer valid only when financed through INFINITI Financial Services. Subject to residency restrictions. $45,245 MSRP includes destination and handling charge. Net capitalized cost of $40,148 includes a $700 non-refundable acquisition fee. Retailer contribution may affect actual price set by retailer. Monthly payments total $15,561 at lease end, purchase for $24,885, plus purchase option fee up to $300 (except KS & WI), plus tax, or pay excess wear & use plus $0.25 per mile for mileage over 10,000 miles per year. Disposition fee due at lease end. No security deposit required. Must take delivery from new retailer stock. Ends 04/30/2019. Example VIN 5N1DL0MN2KC561201. Well-qualified lessees lease a new 2019 QX50 LUXE in retailer stock for $399/Month for 39 months. $3,899 initial payment excludes taxes, title, and license. $3,899 due at lease signing (includes down payment). Offer valid only when financed through INFINITI Financial Services. Subject to residency restrictions. $40,395 MSRP includes destination and handling charge. Net capitalized cost of $37,137 includes a $700 non-refundable acquisition fee. Retailer contribution may affect actual price set by retailer. Monthly payments total $15,561 at lease end, purchase for $22,621, plus purchase option fee up to $300 (except KS & WI), plus tax, or pay excess wear & use plus $0.25 per mile for mileage over 10,000 miles per year. Disposition fee due at lease end. No security deposit required. Must take delivery from new retailer stock. Ends 04/30/2019. Example VIN 3PCAJ5M16KF133478. Well-qualified lessees lease a new 2019 Q50 3.0t LUXE in retailer stock for $299/Month for 39 months. $5,299 initial payment excludes taxes, title, and license. $5,299 due at lease signing (includes down payment). Offer valid only when financed through INFINITI Financial Services. Subject to residency restrictions. $39,295 MSRP includes destination and handling charge. Net capitalized cost of $31,639 includes a $700 non-refundable acquisition fee. Retailer contribution may affect actual price set by retailer. Monthly payments total $11,661 at lease end, purchase for $20,040, plus purchase option fee up to $300 (except KS & WI), plus tax, or pay excess wear & use plus $0.25 per mile for mileage over 10,000 miles per year. Disposition fee due at lease end. No security deposit required. Must take delivery from new retailer stock. Ends 04/30/2019. Example VIN JN1EV7AP6KM518589. Very polite and professional. We shall see how the service turns out when the parts arrive. Serving as one of the primary dealers in Corpus Christi, Ed Hicks INFINITI has all the new and used vehicles you need. Located at 3026 S Padre Island Dr, we are not very far away from our customers. Our convenient location and updated inventory make us one of the most popular dealers in the area. Get in touch with our sales staff and let them help you get the car of your dreams. Visit our Corpus Christi INFINITI store and learn why customers prefer us. We’re not just here to sell you great cars at our dealership. We’re also here to make sure you enjoy them for years to come. Robstown INFINITI owners can rest assured that if their vehicle suffers from collision or wear-and-tear damage, our service technicians will restore it to its like-new condition. Our staff is expertly trained and brings years of experience to the table. 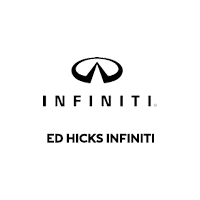 Ed Hicks INFINITI has been around for 40 years! We’ve also got all the parts and accessories you could ever need, and a helpful team that will direct you to whatever you need to buy.